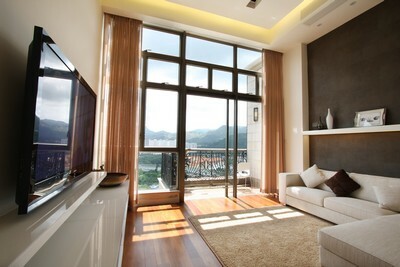 The owner travels abroad for the majority of the year. 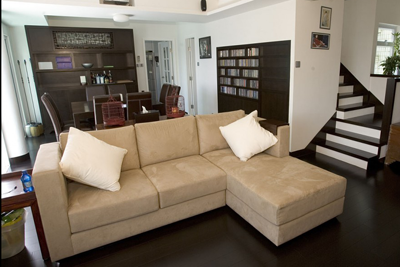 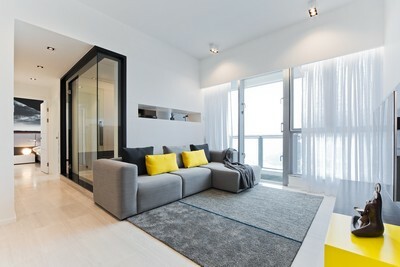 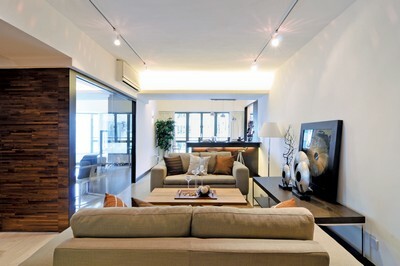 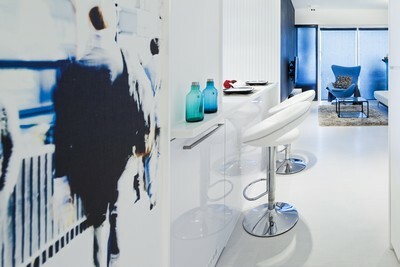 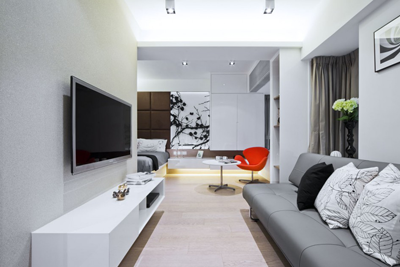 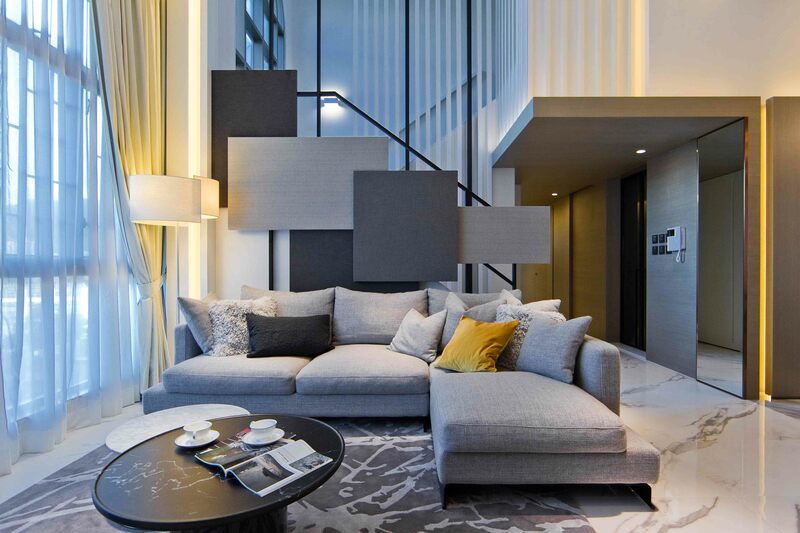 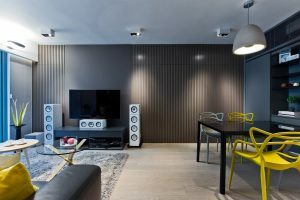 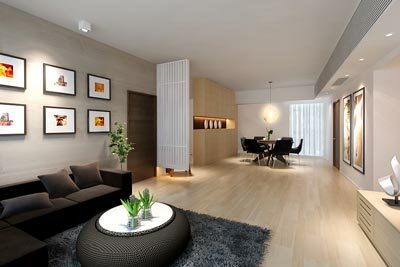 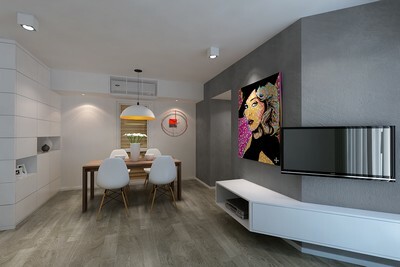 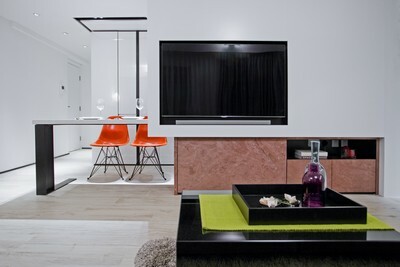 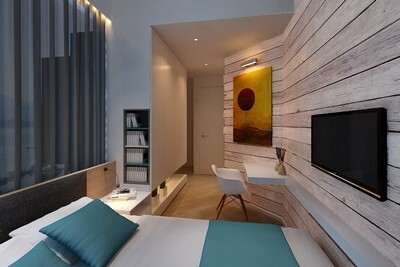 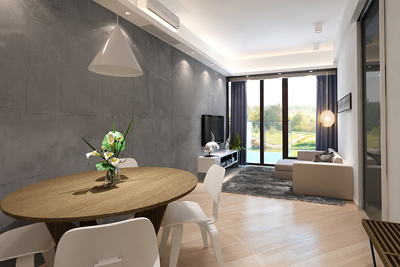 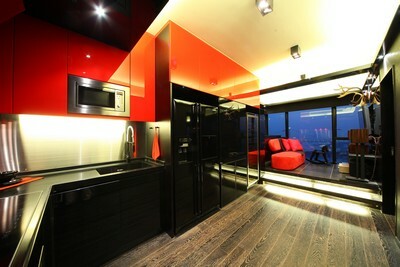 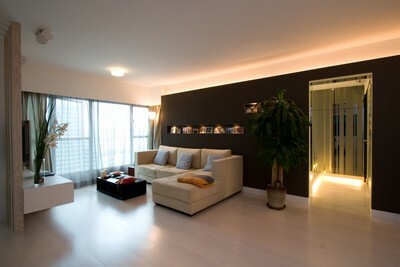 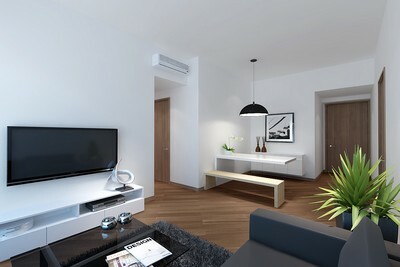 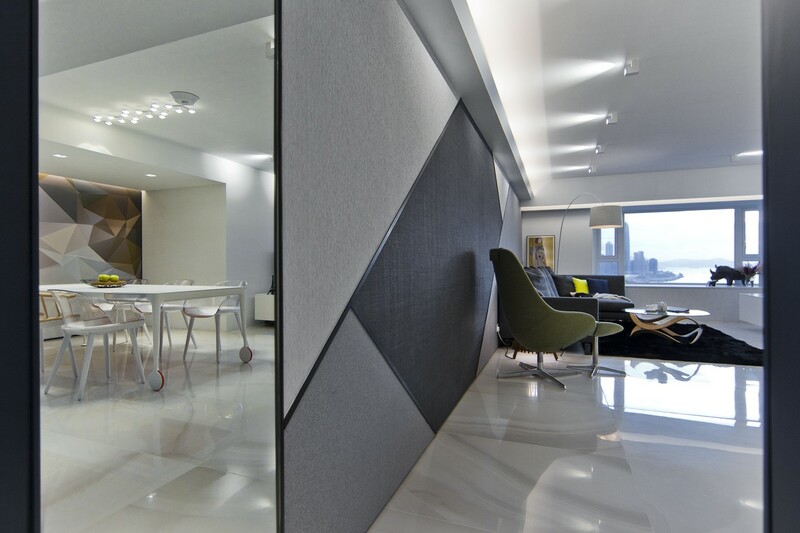 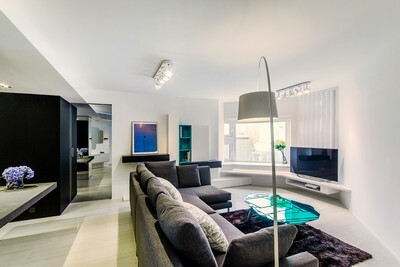 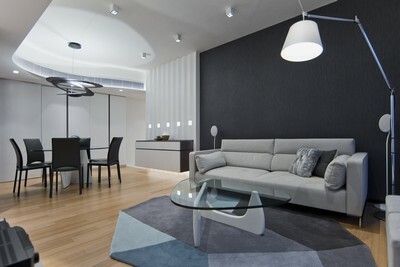 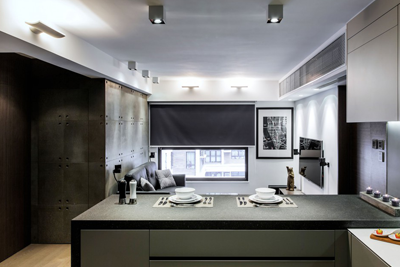 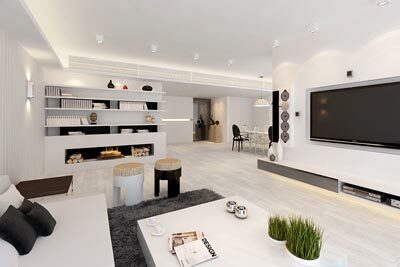 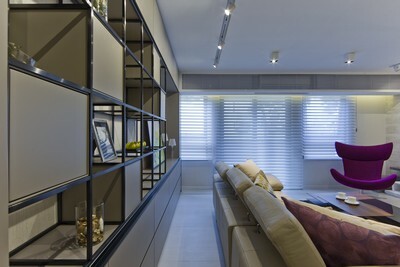 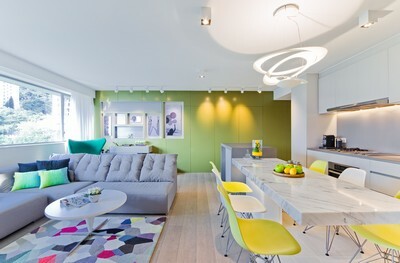 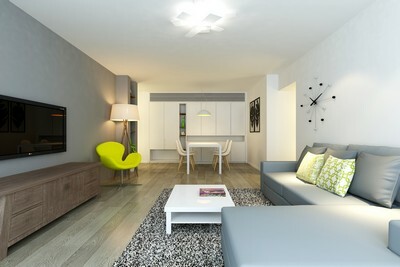 With this in mind, the apartment has been tailored to suit an international albeit transitional lifestyle. 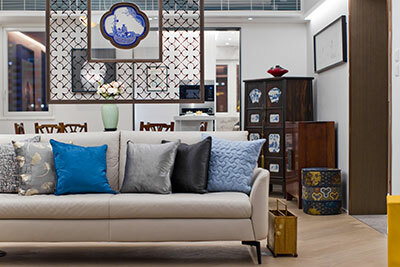 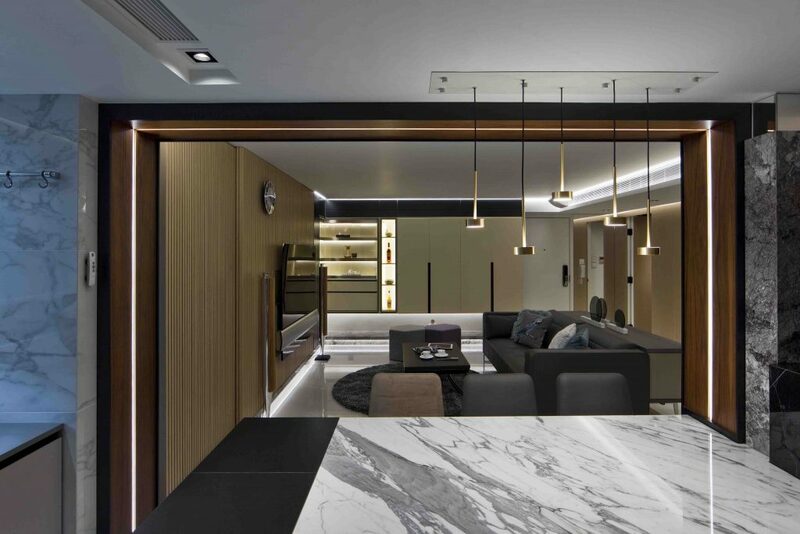 And more than that, the resident’s love of travel and passion for Paris and its famous Eiffel Tower is reflected in the design and theme of the house. 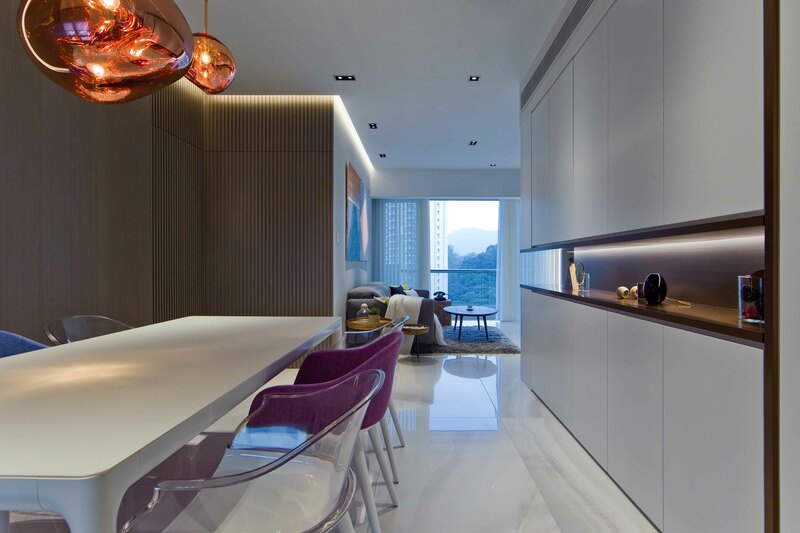 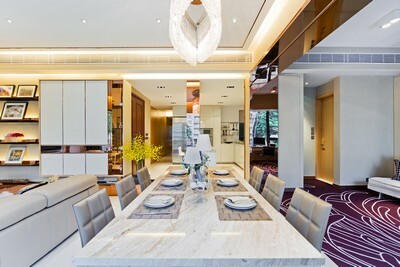 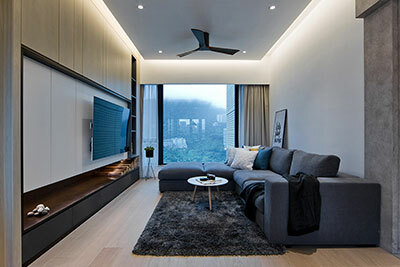 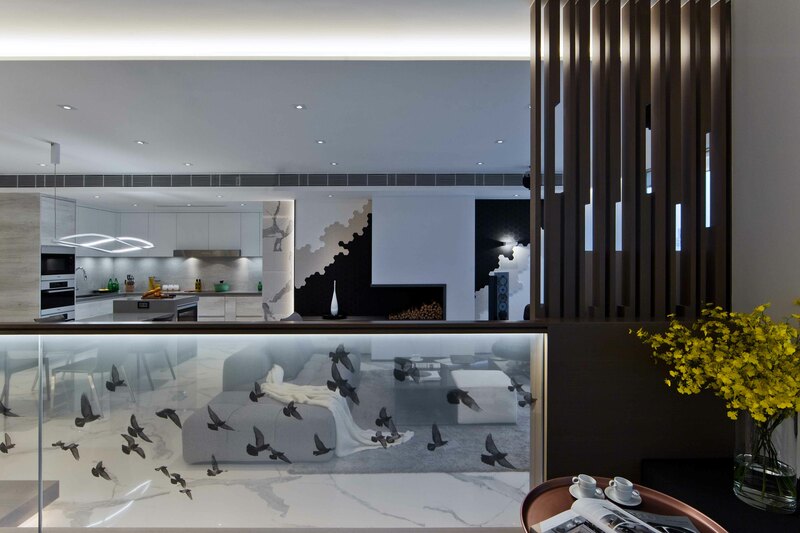 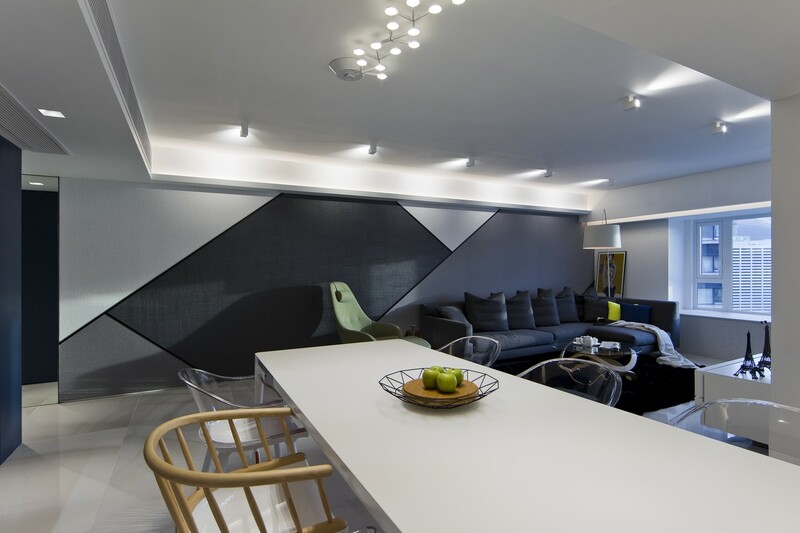 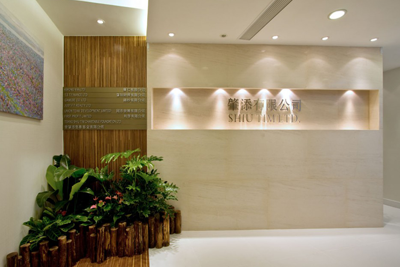 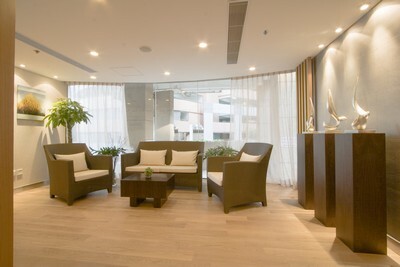 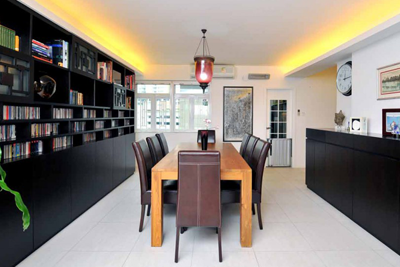 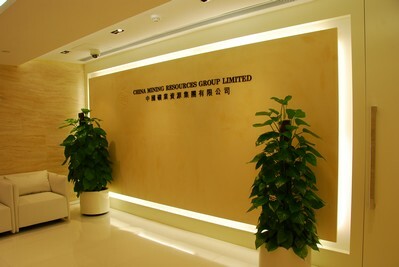 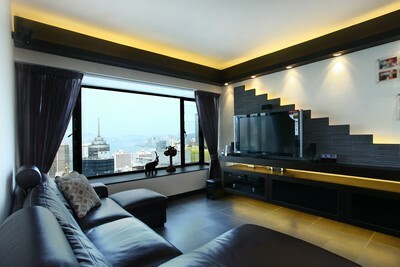 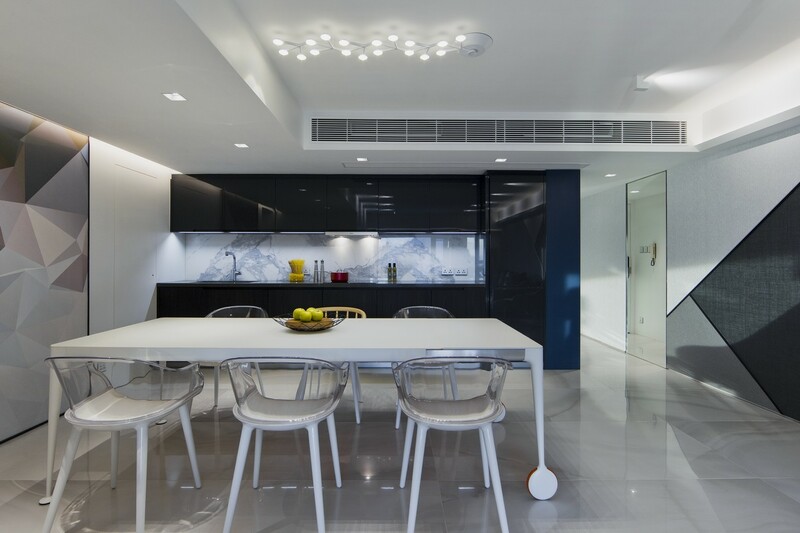 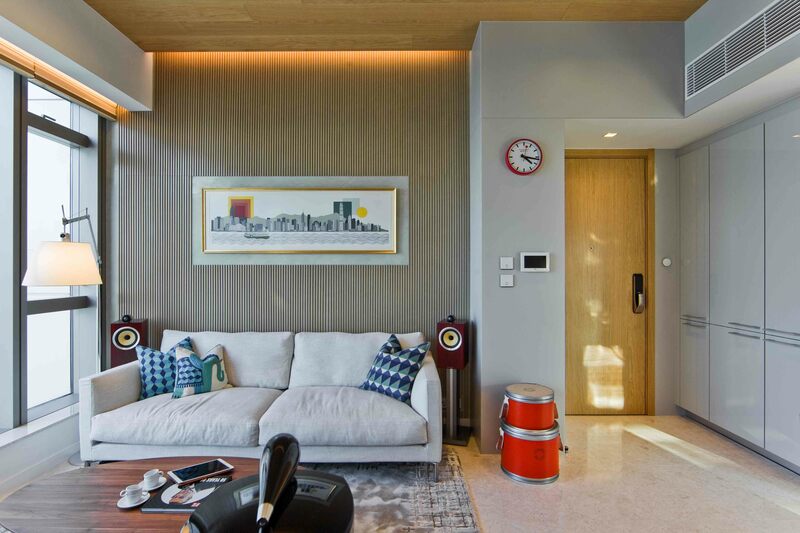 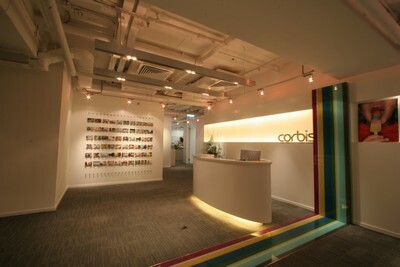 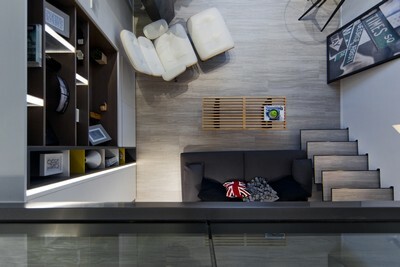 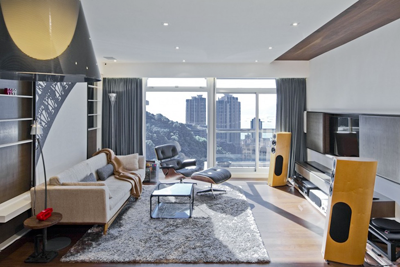 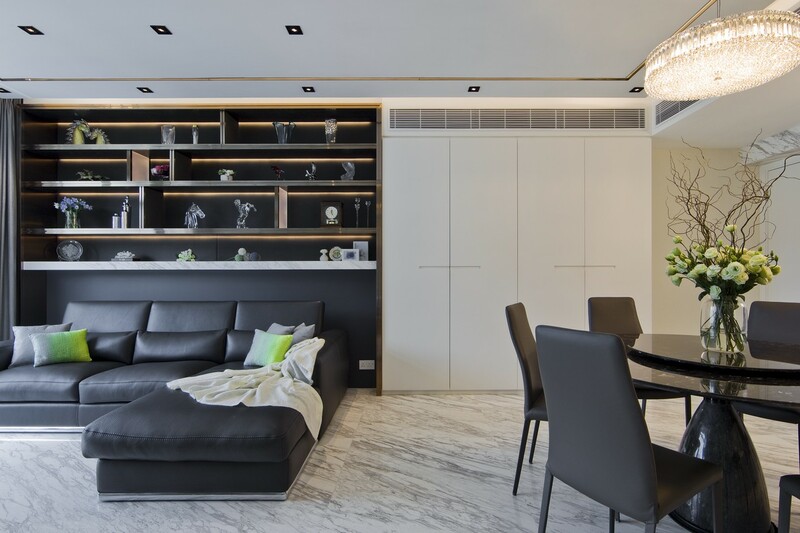 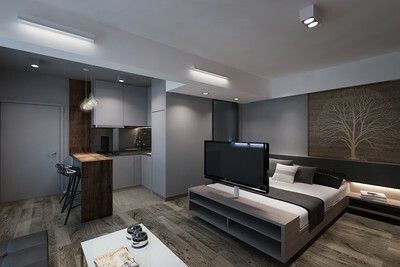 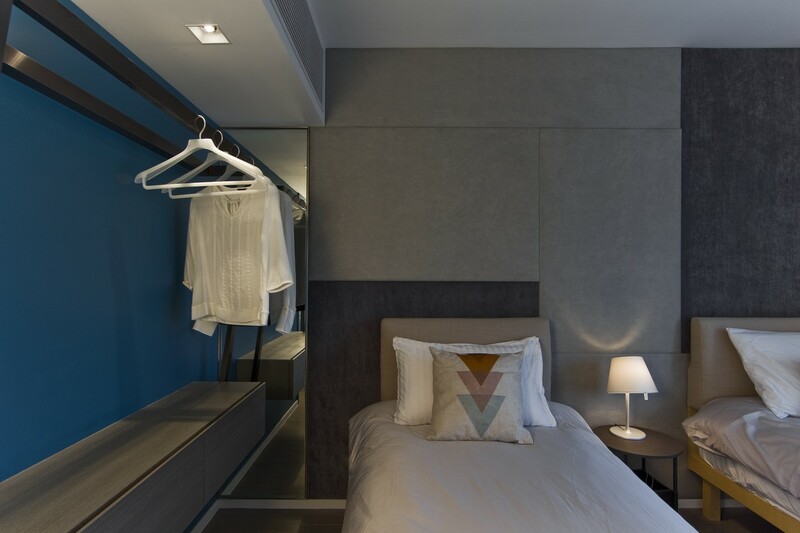 Though the height of the roof is slightly lower compared to other residences in Hong Kong, shorter lights have been incorporated into the design. 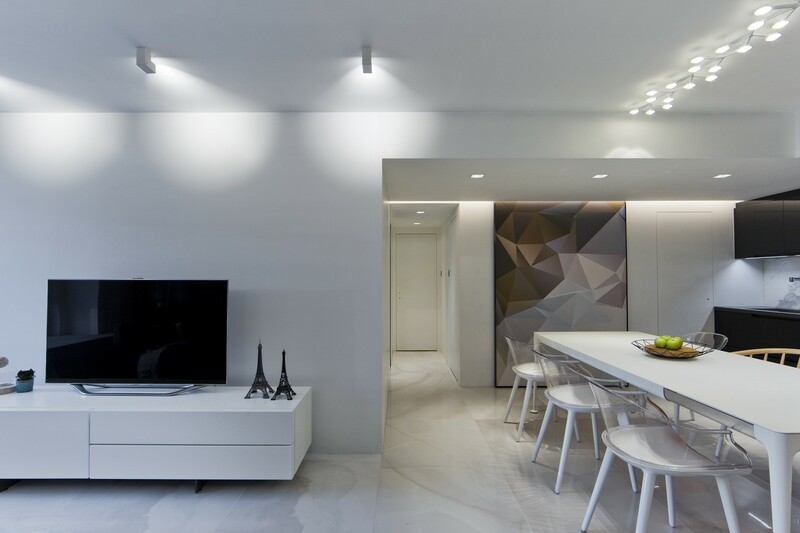 The lights that brighten up the residence are reminiscent of the fixtures that make the Eiffel Tower glow during the night. 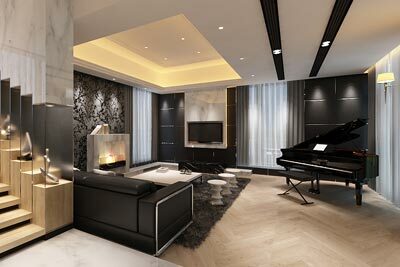 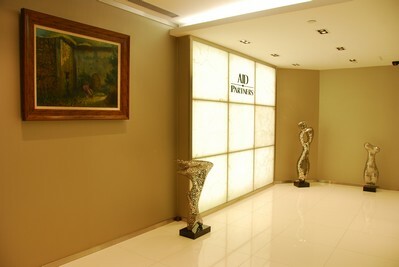 They have been placed facing directly towards the walls and their reflection works to create a sense of stage lighting and drama. 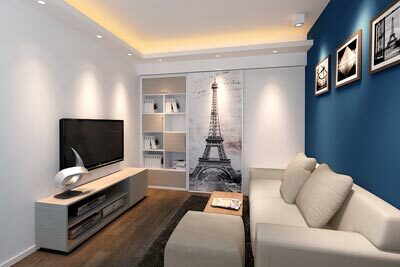 A decorative wall feature in the living room utilises colours and lines that mirror that of the Eiffel Tower. 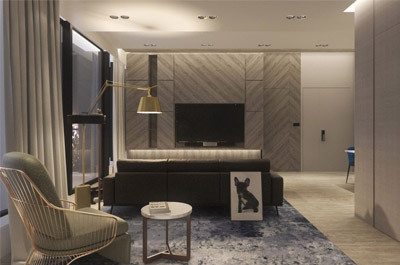 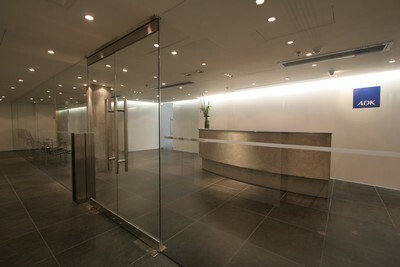 Charcoal-tinted industrial black and grey tones seen in the wallpaper create a metallic and marble-like atmosphere similar to the building with the diagonal geometric lines make reference to the foundation of the tower. 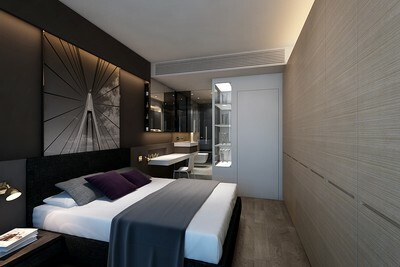 The Eiffel Tower theme is extended into the master bedroom and another decorative piece bearing the same design can be seen above the bed. 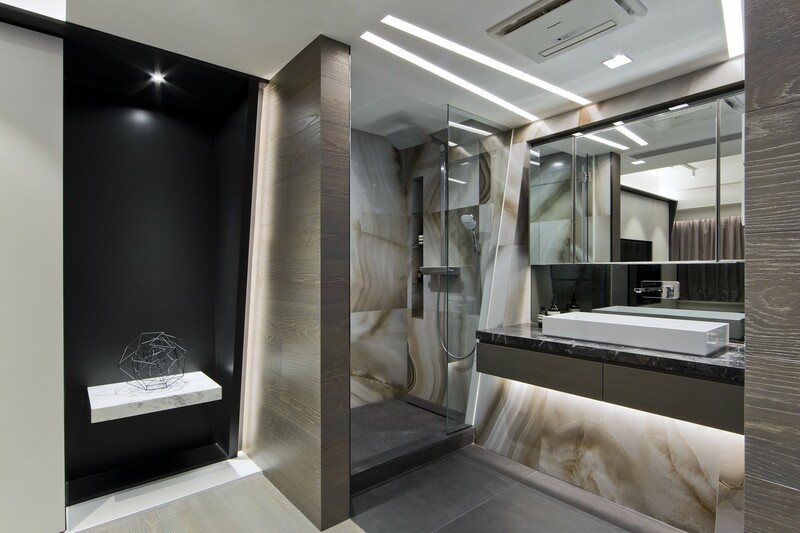 The theme continues into the en-suite bathroom too with slants and diagonal lines built into the walls and cabinets. 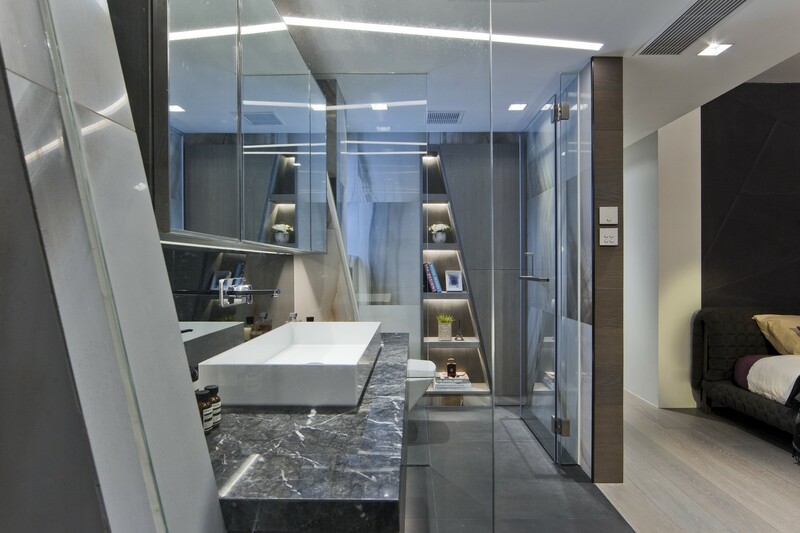 The bathroom mirror looks towards the view outside, making the room feel twice as big. 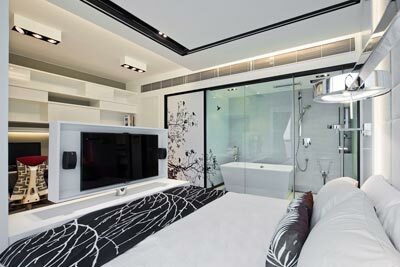 Just like the kitchen, the bathroom is open-plan as to make the master bedroom feel more spacious.